Recently I had the opportunity to attend a performance by world-renowned guitarist, Ottmar Liebert. This was the first time I ever attended a show where there was no dancing or physical movement other than the melodious vibrations of flamenco guitar notes in the air. This German-born artist is a man of deep thought and instrumental innovations to bring a world together through the universal language of music. He recently married his talent with the illustrious Iraqi oud player, Rahim AlHaj. 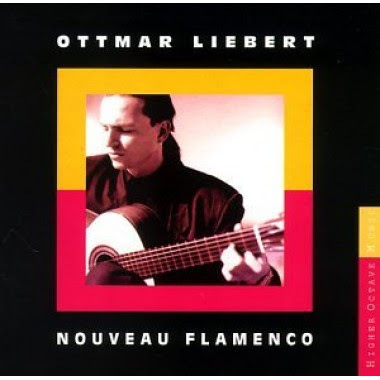 Under the title "Under the Rose, Liebert and AlHaj unite modern flamenco with ancestral Iraqi tradition similar to the Moorish influence in the Iberian peninsula. Now you can indulge in this spectacular marriage of music. CLICK HERE to download your free MP3 album "Under the Rose". Go to the Under the Rose webpage. Click on Download this album in lossless FLAC format. Click on "Click here to download a PDF you can print out for making your own CD jewel box insert." If you don’t have FLAC software, go to this webpage and download some.Burn an audio CD.Print the jewel box insert.Tie a ribbon around it. Optional: make a donation to Direct Aid Iraq. Total cost should be about a buck, for the CD-R with case, plus the donation, if applicable.